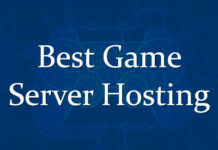 The hosting control panel is the most required tool to manage all the hosting resources on a server and has always been an integral part of a web hosting server. We’ve grown accustomed to seeing the monopoly of cPanel when we think about a web control panel. 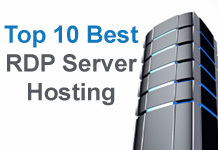 cPanel is the most popular and most widely used software when it comes to managing your website(s). Unfortunately this awesome software is not free and cost you money to use it. 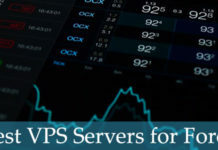 For personal use, VPS owners and startups it’s a tough job to invest money in such software, they want to stick to small budgets, and eliminating the control panel licensing that can easily knocks off few $$ of monthly fees. 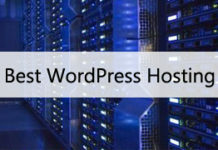 Thankfully, there have been a growing number of feature rich hosting control panels popping up all over the web and best of all, they’re free to use. In this post, we’ve curate a list of best free cPanel alternative to use on your server(s). Let’s jump into our top selection of cPanel alternative. Virtualmin is a free and open source control panel under the GNU GPL. You can easily manage and control virtual domains, mail, databases, file manager, applications and more from its dashboard. Installing Virtualmin on your server is a painless task thanks to its automated script using which you can install it in few minutes. It not only supports file manager but also a simple and easy to use WYSIWYG HTML editor built into the file manager itself. Full support for Ruby on Rails and Mongrel based applications. Virtualmin also have a professional version, which comes loaded with advance function such as bulk hosting a lot of sites or users; reseller accounts and a bunch of extra Install Scripts but most people don’t need the pro stuff. So the free version is enough for you to keep using it. VestaCP is easy to use and simple looking control panel comes with robust and must have features. It’s simple in terms of only have the features which are must for a web host and not included the unnecessary feature list. It supports most of the latest Linux distributions such as CentOS 5-7, Debian 6-8 and Ubuntu 12-15. The installation is easy, even a less technical person can install it without much trouble. 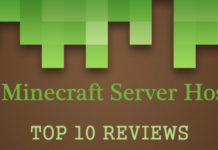 You need to run few simple commands to install the software on your server. The main feature includes file manager, interactive graphs, and a free web-mail, it has the ability to add WHMCS billing module, where you can add various custom hosting plans for your website. It also includes a firewall you can use to protect your serve from viruses. Overall VestaCP is a feature rich, lightweight, fast and easy to install and simple to use control panel. Froxlor is open source and is considered a best alternate to cPanel in terms of features it supports such as, it has various access levels i.e. admin, re-seller and client accounts, where you can set your own theme for the UI. It has a nice and simple user interface. The customer facing UI should be simple so that even a person with less technical knowledge should understand and use it easily, and Froxlor make it really good in this regard. The only feature it missing is the file manager. This file manager is a must have utility for a control panel but its missing from Froxlor. To overcome this feature you need to use a FTP client (such is FileZilla) to upload/download your files on the server. ISPConfig 3 is so far the best alternate to cPanel in terms of advance features it comes with. ISPConfig 3 have all the features you want in a full fledged control panel. It offers various user layers such as admin, client, re-seller and control panel user, which is a special kind of user to whom an administrator can assign a specific task such as handling DNS, file management, mailbox settings etc. The ISPConfig 3 installation is not automatic, so if you are like a person who likes things to be completed by few clicks aka automation, then you will be a bit disappoint, because you have to do a lot of steps manually to install the IPSConfig 3 on your server. It’s an open source, feature packed and provides everything you would expect from a web hosting control panel. There are plenty of built-in modules are available in Sentora, you can even brought in 3rd Party modules or built one yourself for your particular requirement. The control panel also has the ability to use many free and custom theme for CP user interface. It even p provides a theme similar cPanel! It only included the essential features of a control panel instead of a plethora and unnecessary features which normally isn’t useful for most of the users. Features such as file management, database, domain, mail and many more features are present in the main dashboard. Kloxo have everything a good control panel should offer. The user interface is much similar to cPanel. It support and runs on CentOS 5 and RHEL 5. The kloxo can easily distribute resources across different servers. Kloxo can easily integrate with WHMCS, Hostbill and AWBS; this is a good feature if you are already using any of this service for your clients. Kloxo also have the ability to create different user levels by allowing re-sellers account, so that you can effortlessly resell your hosting services to your clients. Sadly we haven’t seen any active Kloxo development for a while now; even the demo link seems to be down for a while. (As of writing this) we couldn’t find any active demo link on the net! Worst yet the installation link is also down! We are here to share with you the free alternative to cPanel, but it is advisable that you should know the consequences of using the free web hosting control panels. Many of the above cPanel alternative are free but there will be small fee you have to incur in order to use the advance feature and/or to get technical support. There is a saying “nothing is free in this world”, you can’t expect developers to spend countless of hours of time developing a free control panel (and keep fixing bugs and proactively releasing new updates) that will compete with a commercial one such as cPanel. As you can see, there are a growing number of fantastic free alternatives to cPanel. These control panels are excellent, fully functional, and easy to use and have become a blessing for web hosts and web administrators. 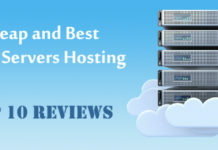 We strongly encourage you to go through each of the above mentioned web hosting control panels and use the one you feel is a good fit for your needs.